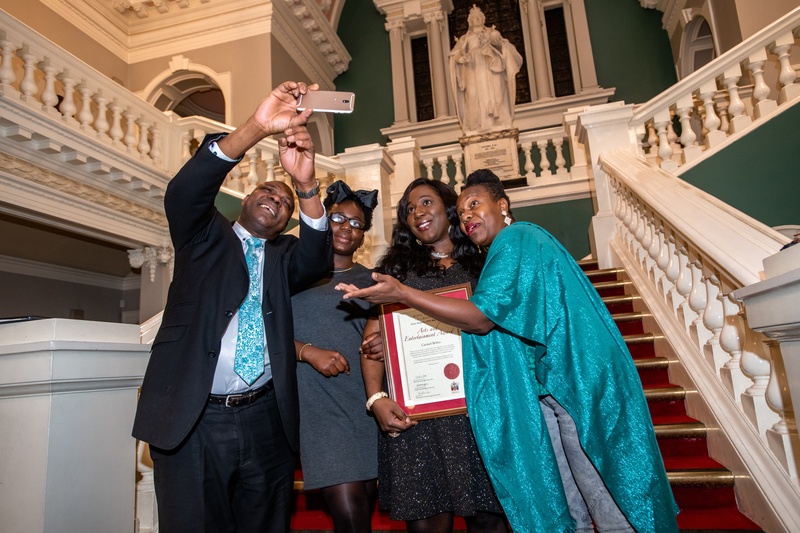 The winners of the Royal Borough of Greenwich Civic Awards 2019 have been announced. Exceptional people and organisations from across the borough received awards for their outstanding contributions to the community, great achievements and making a difference in the Royal Borough in a special ceremony at Woolwich Town Hall. The worthy winners received their awards from the Leader Cllr Danny Thorpe and the Mayor, Cllr Christine May at the seventh annual Civic Awards event. Awards were presented across eight categories - community, act of courage, young person’s outstanding achievement, volunteer, sporting achievement, lifetime achievement and arts and entertainment and the new category teacher/teaching assistant of the year. There was also a special award from the Leader. Leader of the Royal Borough Cllr Danny Thorpe said: "We were once again astounded and delighted by the nominations, which were of particularly high standards this year. These awards recognise the fantastic contribution, dedication and hard work of so many people and organisations in Royal Greenwich. "They make such a difference to the community and in making the borough such a wonderful place to live and work. Well done to all those nominated and huge congratulations to our deserving winners." Mayor of the Royal Borough Cllr Christine May said: "The Civic Award winners are just outstanding in their community spirit in what they have achieved in life. I am so proud to be able to give them the recognition they so truly deserve in the form of this Civic Award. My congratulations to all those who are receiving this award."